A few companies in San Francisco have noticed that innovation and productivity in the construction industry has stagnated. Whereas the manufacturing has benefitted from constant, incremental gains and the adoption of new innovative technologies, construction suffers from chronic symptoms of unproductivity like shortages of skilled labor, a lack of new workers and an aging workforce. America accounts for 15 percent of the global construction industry, which, incidentally, produces half of America’s trash. Building Information Modeling (BIM) applications like Revit began the process of optimizing the collaborative efforts of architects and engineers, but innovative companies like Project Frog are creating new tools for parts of the AEC market that employ a more "siloed" style of collaboration. Project Frog is now allied with engineering and design software giant Autodesk after an investment from their Forge Fund. San Francisco-based Project Frog creates software and prefabricated building platforms. After a decade of Project Frog leveraging cloud software and growing a network of distributed manufacturing networks to deliver customized building kits to customers, Autodesk took notice. The Autodesk Forge Fund was created and designed to support projects that fit in an analogous cloud-based ecosystem called Autodesk Forge, a cloud platform of interconnected developers that allows customers to create customized and scalable applications that address architecture, engineering, construction (AEC) and manufacturing challenges. 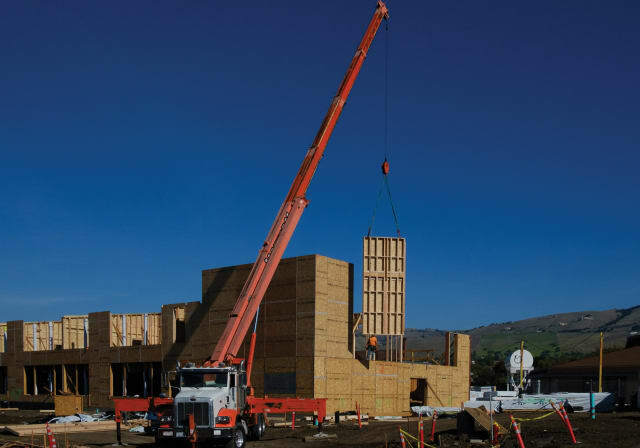 The investment from Autodesk provides Project Frog with a great deal of resources as well as a sense of validation for the years of work they put in around a relatively simple concept: to standardize and streamline data flow between architectural design, factories where prefabricated components are built and the building site itself. Initially, Frogs were created by engineers, product designers and architects to create school environments in and around San Francisco, but they’ve since evolved quite a bit. Project Frog has been able to cut construction schedules in half with pre-configured core and shell components and other configurable components. The components are scalable and able to match desired forms, functions and finishes. The team at Project Frog realized that to fully realize their vision for scalable and highly customizable building systems, they would have to produce in-house software for their version of industrialized construction. This is where Autodesk Forge enters the picture. Autodesk Forge is a group of application program interfaces (APIs) that Autodesk uses to build their own cloud-based applications. 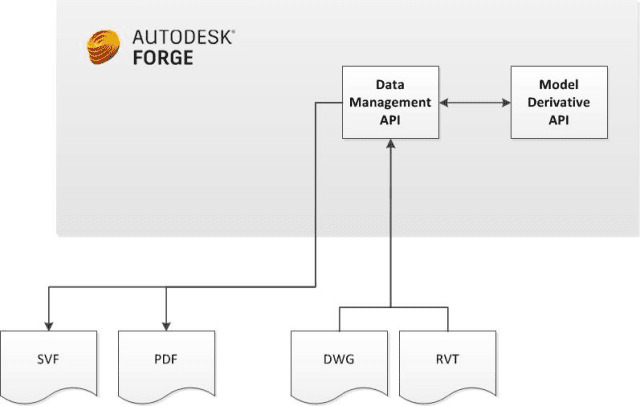 The main concept of Autodesk Forge is that by opening these APIs for use by customers and 3rd party developers in the Forge community, growth can be stimulated in industries that Autodesk has a vested interest in, such as AEC, building information modeling (BIM) and manufacturing. 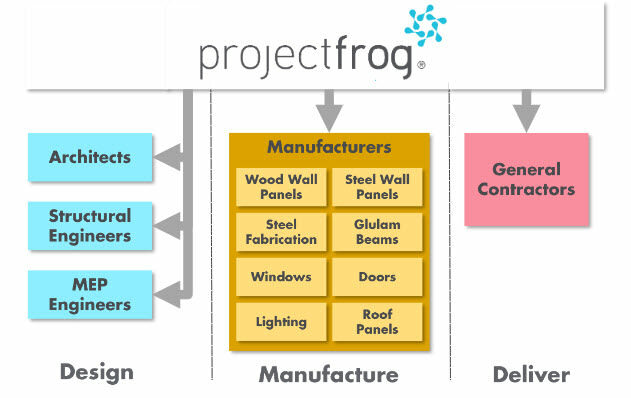 By leveraging the Autodesk Forge platform, Project Frog created more efficient integrations between their in-house software web tools and Autodesk applications using cloud technologies to push tighter integration between their own internally developed web tools and mainstay Autodesk applications that are most relevant to their business—like Revit for BIM and Fusion 360 for Manufacturing. Project Frog’s primary goal right now is to use the Forge platform to transfer their prefabricated components and assemblies from a Revit environment to a web environment. By specifically using the Model Derivative API, they can take the component metadata from each Revit file in their library and prepare it for a web environment. The crux of the collaboration is between Project Frog's approach to prefabrication and Autodesk Forge’s ability to integrate data flow throughout project stages and varying software workflows. There’s so much data! From beginning design stage, the costing stage, then manufacturing and finally project delivery, Project Frog is raking in efficiency gains, reducing the amount of time certain processes from weeks to minutes. Users can create and submit a completely unique building design with Project Frog—ten minutes later, they will receive a hyper-detailed Revit model. 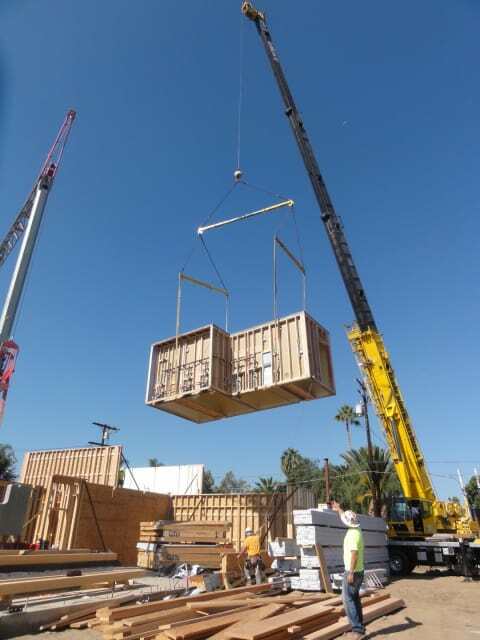 Another reason Project Frog can produce prefabricated highly customizable buildings at scale is with their comprehensive set of structural calculations and bill of materials (BOM) for costing. This collaboration will create a common data environment that optimizes and underscores architectural design for manufacturing. Giving every stakeholder in a project access to the most recent data automatically eliminates the need for performing manual updates. This streamlined ecosystem enables Project Frog to leverage the Autodesk Forge cloud platform and the engineering software giant’s building information modeling (BIM) resources.